How to get rid of dark circles? 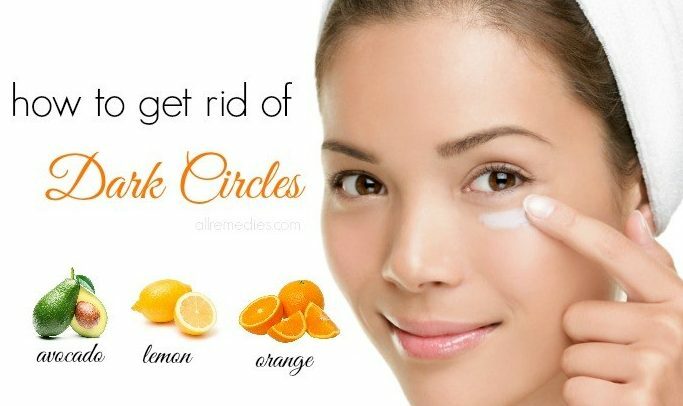 There are many ways to get rid of dark circles and not only sleeping enough will do it. Start working on it as soon as you notice it. It happens because blood builds up under the eyes and simplest way to avoid is by using pillows. You can always purchase eye creams for dark circles from the market or cosmetic store and they will work. If you are looking for natural home remedies to get rid of dark circles here are some of them, you can try. Here is how to get rid of dark circles. Step 1: Make a paste with the baking soda and the water and it should be a watery paste not one with high consistency. If the consistency is high or the paste is thick, your eyes will get irritated. Make sure this is being used externally and not entering your eye. It will hurt. Step 2: Now the spoon will be helpful to apply the baking soda paste. Use the underneath part of the spoon to apply the paste and do not use hands or fingers to do this. Make sure the spoon is clean. Do not use anything else to apply the paste because nothing will work better than the spoon while applying it. Step 3: Wait for ten minutes and when it is completely dry, use the wet wipes for babies to clean it off. You can do this three times a week till your dark circles completely disappear. Step 1: You will need to utilize the knife to cut a cucumber into round pieces and store the cut pieces in the refrigerator for ten minutes. Step 2: You will need to cut two slices only, one for each eye. Get a clean spoon and store it in the refrigerator along with the cucumber pieces. Step 3: After bringing them out from the refrigerator after ten minutes. Apply the spoon underneath your eyes where the dark circles are and apply the cucumber on top of your eyes and rest for several minutes. Another way to use the cucumber is by cutting it into very small pieces using the knife and let it sit on a plate. They will release water after few minutes and use a fork to press the small pieces and make them release their juice. Once you see water on the plate, dab in cotton pads and dip in the water. Use the cotton pads under the eyes. • If the reason for getting dark circles in not lack of sleep but because you have seasonal allergies, you need to use over-the-counter medicines instead of home remedies. • You can drink green tea to get rid of them and at the same time before throwing away the tea bags, refrigerate the used tea bags and apply over the eyes and below it.